Available only in Runners and 90 Squares at this time. 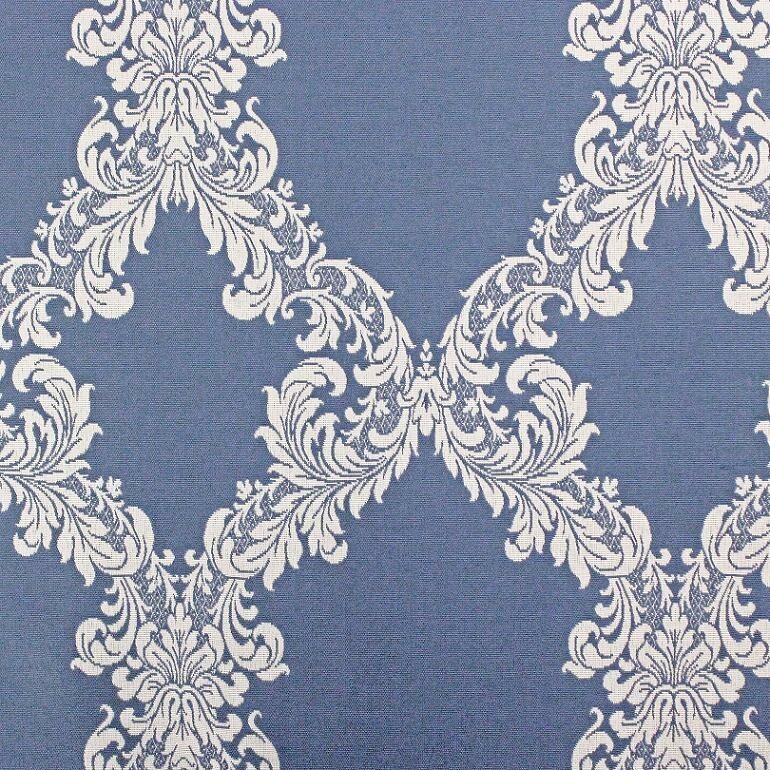 Foxtrot Linen in Wedgewood Blue and White color. Reversible item.